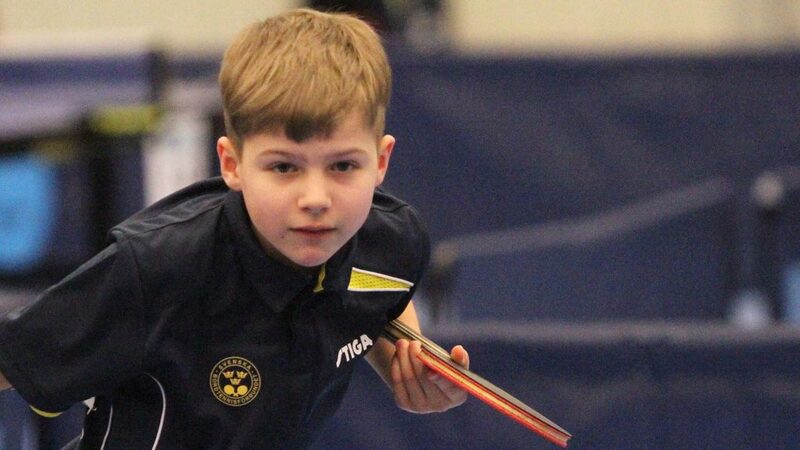 Lleyton Ullmann and David Björkryd are the two best players in their age class at the 2018 Safir International in Örebro, the Mini-Cadet category for players born in 2006. Lleyton in Germany and David In Sweden. On Saturday 24th February, the strange fact was that they were drawn in the same group. Lleyton won (11-5, 11-9, 7-11, 4-11, 11-7) and secured first place ; it was to prove the only defeat for David. He finished in second place in the group and thus advanced to the main draw. Later in the first round, Lleyton Ullmann beat Sweden’s Elias Sundin, (11-6, 11-6, 11-6). “I feel in good shape and think it’s nice to play here,” said Lleyton Ullmann. David Björkryd also won his first match in main draw; he overcame Russia’s Aleksei Samokhin (7-11, 11-6, 11-9, 9-11, 11-9). Another common factor is that Lleyton and David are sometimes coached by Mario Amizic.. Both players spend a great deal of time practising and aim to gain places in the senior national team. In Hamburg, former national team player Oliver Alke is responsible for planning for the programme for Lleyton Ullmann. Oliver has a mission in Hamburg. “He has many skills for his age, he is wise, focused, humble and complete for his age,” Oliver Alke. The same can be said of David Björkryd, who has a long-term planning that he follows but there the similarities end. In the case of Swedish Championships, David Björkryd cannot be included. He is judged to be too young. It is a decision Oliver Alke questions. “It may not be the best way to develop and educate young people to become good players internationally. I really hope for David they will change this decision.” Oliver Alke.